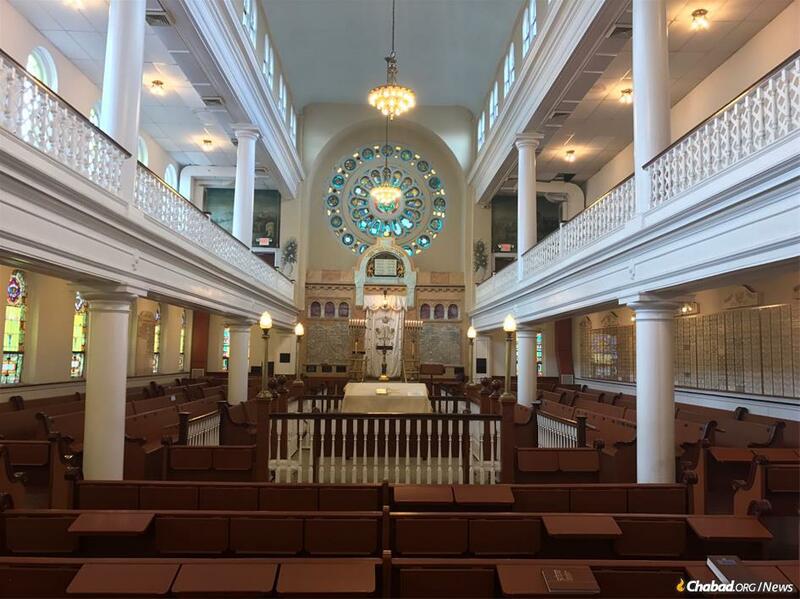 The sanctuary of the historic B’nai Abraham synagogue in central Philadelphia. It will again open its doors to worshippers free of charge for the High Holidays this year. To be sure, donations are recommeded for those who can afford it, but like thousands of Chabad synagogues, no one is turned away for financial reasons. 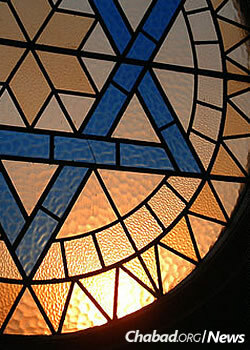 It is a model that has been emulated by other Jewish houses of worship around the world. The calendar is turning to September, and the anticipation is palpable. Jewish men and women the world over—and certainly, the children, too—are preparing for Rosh Hashanah. Meals are in the works, new clothes have been laid out, crafts and projects have been made. And, of course, people are readying themselves for services and synagogue programs of all kinds. But what happens when a family or individual, for one reason or another, has no regular shul to attend? What happens when they find themselves in a new town or in economic straits or, perhaps, decide at the last minute that they want to attend services? Continuing a decades-long tradition that has drawn countless Jews into synagogues for the Jewish high holidays, Chabad-Lubavitch will hold thousands of free High Holiday services around the world as part of a model that has no dues and no membership—a model that other synagogues and organizations around the world are looking to replicate. Chabad of Vermont will welcome about 100 people for services on Rosh Hashanah and Yom Kippur, quite an increase from the 30 or 40 for a typical Shabbat. The Raskins will also host a communal meal on Rosh Hashanah; a donation of $36 is requested, but anyone is welcome to attend. It is Chabad’s firm belief that Jewish traditions and customs are the birthright of every Jew, and that every Jew should have access to them. After all, it is Chabad’s firm belief that Jewish traditions and customs are the birthright of every Jew, and that every Jew should have access to them. So why charge a fee at all? He notes that the synagogue has been asking for a seat fee for more than a decade, and that most people understand the need to do so. “We do it in the lightest way possible, and everyone is guaranteed to come in,” he stresses. High Holiday services this fall bring added significance as Jewish communities worldwide celebrate the year of Hakhel, a time to promote Jewish unity and learning. 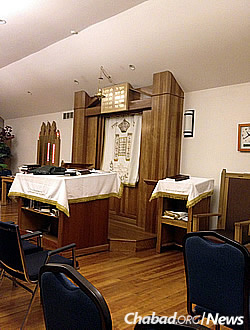 Chabad Houses that cannot accommodate the overflow holiday attendance often rent hotels or other spaces so all can come and pray for the holidays, and bring friends and family members. While a number of Chabad emissaries may have a donor who steps forward to underwrite the costs, most will ask for a nominal fee to help offset the charges. Still, at the end of the day, Chabad emissaries prefer not to charge anything, and rabbis say that should never be the caveat for attending or not attending. Come one, come all—they’ll make the room. Such is the case at the Chabad of Waukesha-Brookfield in Wisconsin, co-directed by Rabbi Levi and Freida Brook. While people are asked to RSVP for High Holiday services, the registration page makes clear that all donations are optional. Rabbi Brook believes that affiliation in the Jewish community, especially for the High Holidays, shouldn’t come with any kind of price tag. To find out more about High Holiday services and programs at a Chabad center near you, visit the directory here. 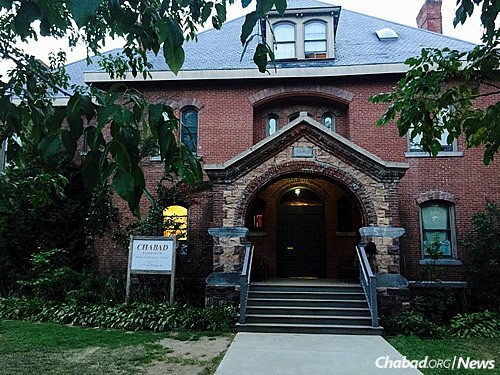 The doors to Chabad-Lubavitch centers in North America and throughout the world are open for the High Holidays, offering free services to Jewish people, like at Chabad of Vermont in Burlington. free to daven... this is probably the most important offering a Shul can give to its community. while there are those who can and are able to pay $1000s of dollars a year for them an their families to have seats, most normal working people are really up against it.